CZ's Parrot is the competitor's best friend as well as the collector's holy grail. 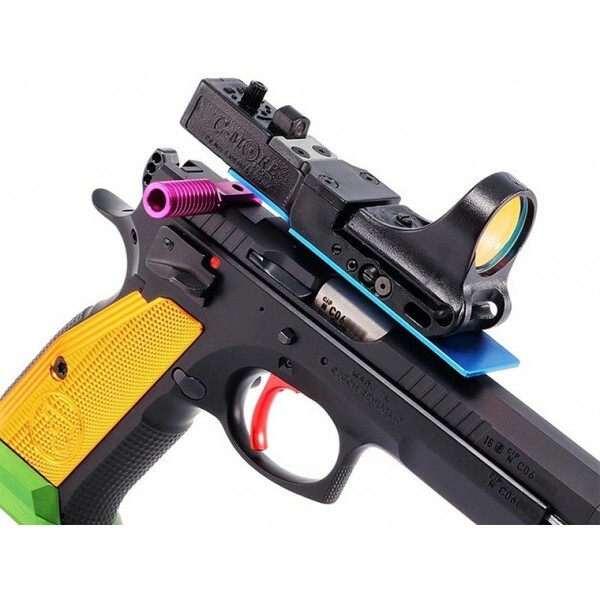 With CZ producing less than 10 per year and less than 5 imported to the United States, the Parrot is one of the most exclusive CZs on the market. 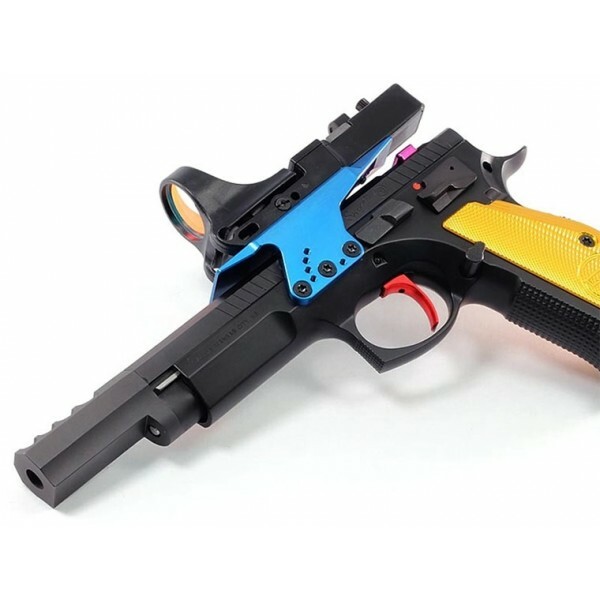 Not only are they incredibly rare but they also feature a unique color design mimicking a parrot along with all the features you have come to expect with a Czechmate pistol. 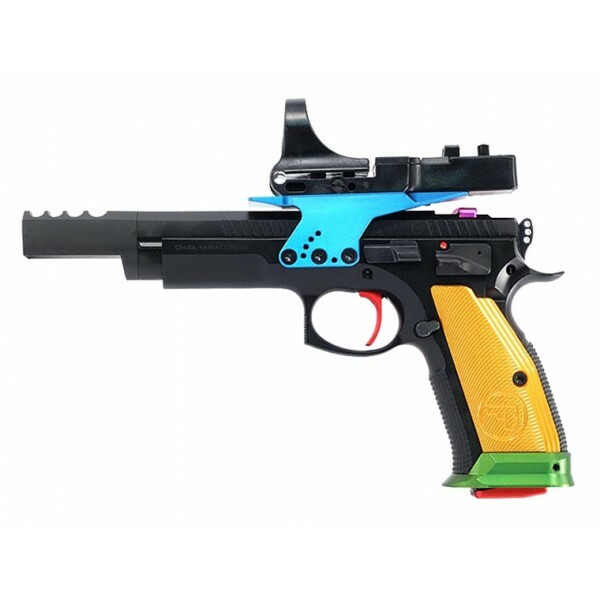 Featuring a newly redesigned single action hammer & new trigger beautifly anodized in red, thin yellow/gold aluminum grips, a purple cocking lever, an exclusive green magazine funnel, three 20 round magazines with red bottoms, and a blue anodized C-More mount with included C-More sight. 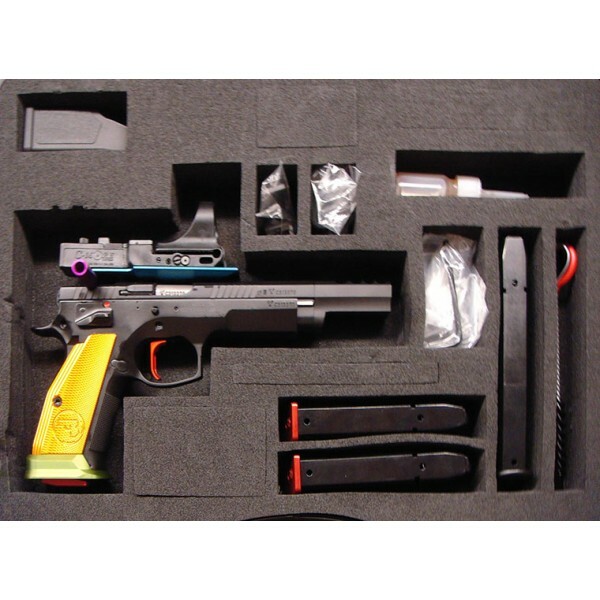 Stand out at your next match or revel in the knowledge that you own one of the finest CZ 75 variants ever produced. Not only will other CZ collectors envy you but you will also shoot faster and flatter ensuring you place better than you did before. (3) 20rd, (1) 26rd "Big stick"